Why should anybody buy your product? Because it creates added value! In these examples, we speak of value propositions. The value propositions are the answer to the previously identified pain points of your target group. They promise customers the value or benefit they receive through the product or service. But how to develop a value proposition? 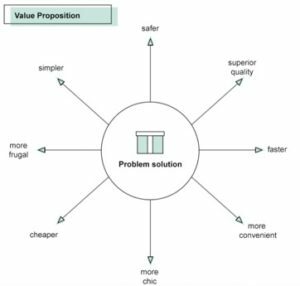 The Value Proposition in the Startup Navigator creates a link to the existing problem and thus increases the need for a solution - the Gains. One way to develop your value proposition, for example, is to express the added value and benefits of your solution in characteristics. Brainstorm a list of up to ten keywords that describe your solution and are the answer to the identified pain points. A customer-centered approach is the key to success. Use all tools and facilities that put you in the customer's position or enable direct interaction with the customer. The same offer can have different benefits for different target groups. 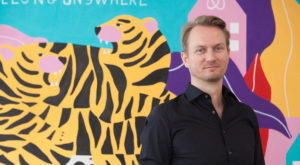 In Airbnb's example, the same offer can be appealing for two different customer groups: on one hand, those who want to experience the city like a local, on the other hand, those who are looking for cheaper accommodation opportunities. Both or all target groups may be relevant to your business model. In the beginning, however, it can also be crucial to focus on one target group, as the value proposition also defines the sales process, the customer approach and the product design. Very few customers only buy a product for the sake of the product. They don’t pay Nespresso between 60 and 80 euros only for a kilo of coffee, they pay for a coffee cult. For the most part, the product has a story which is nicely connected to it by the supplier. Storytelling is the buzzword here. If you manage to create emotions with your product or with your service, you have a good success factor in your luggage on your entrepreneurial journey. Learn more about the seventh module "Value Proposition" of the Startup Navigator in the handbook.